Dr Markos Zachariadis is Associate Professor of Information Systems & Management at Warwick Business School & FinTech Research Fellow at the Cambridge Centre for Digital Innovation (CDI), University of Cambridge. Markos' research sits at the cross section of economics of digital innovation, financial technology studies, and network economics, and has studied extensively the economic impact of ICT adoption on bank performance, the diffusion of payment networks, and the role of data & standards in payment infrastructures (SWIFT) and financial markets (LEI) among other things. His research has been published in top academic journals such as MIS Quarterly, Research Policy, and Business History and has been awarded the NET Institute Award (NYU Stern Business School) for his study on the economics of payment networks, and the SWIFT Institute & SMS awards for his research on Open APIs and Digital Transformation in Banking. Latest projects examine the governance of blockchain platforms, artificial intelligence (AI) applications in finance, and identification infrastructures in financial markets. He is also co-author of The Society for Worldwide Interbank Financial Telecommunication (SWIFT): Cooperative governance for network innovation, standards, and community (London: Routledge 2014). Markos has been invited to present his findings to various international conferences, organizations, and governments (Money 20/20, SIBOS, Bank of England, Microsoft, SWIFT, IBM, Financial Times, EY, Bank of Cyprus, Innovate Finance, GRI Summit, UK Parliament, etc.) and organized international conferences on PayTech innovation in digital and emerging economies funded by Gates Foundation, MasterCard and Capco. Also, he has shared his work and perspectives with IBTimes, Bloomberg, Fortune Magazine, BBC Radio, CNN, SkyNews, USA Today, ITV News, The Conversation, among many other media outlets. 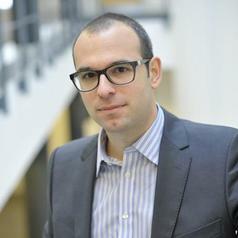 Prior to joining Warwick Business School, Dr. Zachariadis was a Research Associate at the University of Cambridge Judge Business School, a Visiting Scholar at London Business School and a Researcher at the Centre for Economic Performance, LSE. He studied economics at the University of Patras, Department of Economics and holds an MSc and PhD from the London School of Economics, Department of Management.